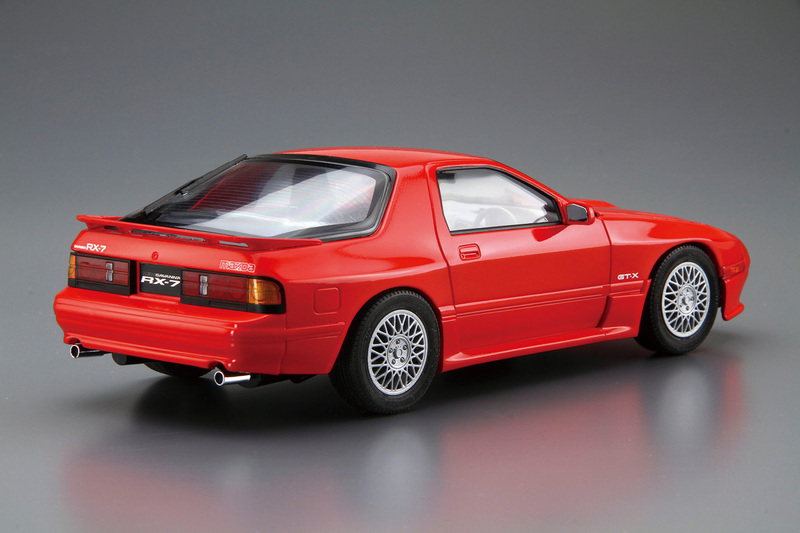 As the 2nd generation RX-7, FC3S was released in October 1985 as a full-model change from the previous SA22C. The body of FC3S was fully re-designed, inheriting the blister fender and traditional retractable headlight. The suspension was changed to four wheel independent suspension with MacPherson strut in the front and multi-link in the rear. 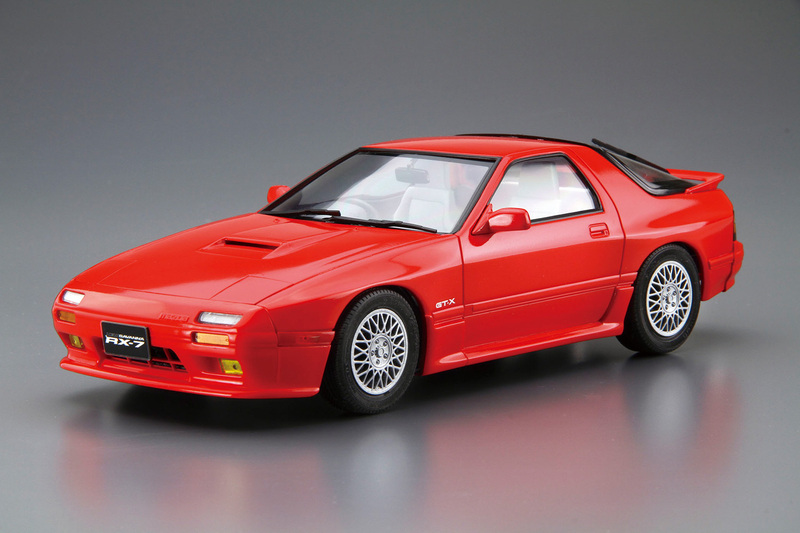 The engine was twin scroll turbo with 13B-T type intercooler, and was popular for its sporty handling and high power. 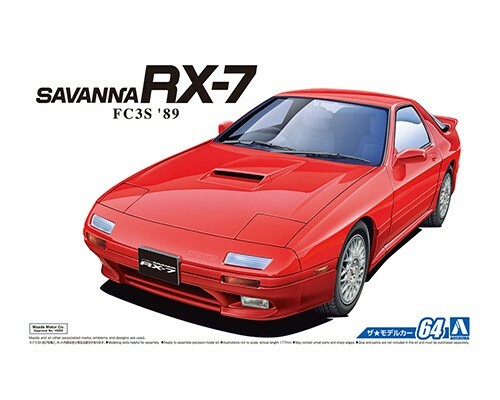 This kit replicates the FC3S model Savanna RX-7 to its catalog specification. The body is selectable between early model and late model. The headlight is also selectable between closed and open position. With genuine aluminum wheels and window masking seal included, you will be able to assemble the FC3S RX-7 to your preference.